Over 100,000 young people in Britain are “untraceable” once they leave school, as local councils remain uncertain as to whether the missing teens are in education or not, MPs warn. The UK parliament’s Public Accounts Committee (PAC) has released anew reportwhich demonstrates the rapid growth of students not in education, employment or training (NEETs) in Britain. The report reveals that 148,000 out of two million 16 to 18-year-olds in England are not in education, employment or training. The UK is “still behind” other OECD countries when it comes to reducing NEETs, according to the report. The committee says councils are “failing” to give teenagers sufficient support and supervision. "A hundred thousand plus young people are off the radar in that some local authorities do not know whether they are participating in education or training or not,” she added. Critics argue that schools do not provide enough employability and careers advice to their pupils. Students who do not attend college are often encouraged to apply for apprenticeships. PAC found it “disappointing” that the total number of new apprentices in Britain aged 16 to 18 dropped last year. “I just feel that employability is not a focus in some schools,” the trainee teacher expressed. In order to reduce the rate of NEETs in Britain, schools should “have an employability week every term” as it will allow students to “think more about their future,” the teacher said. In 2010 the Department for Education transferred responsibility for providing careers advice to schools but “did not give them additional resources to fund it,” according to the report. Others argue that teens are being led astray because of growing transportation costs. PAC is distraught that local authorities are failing to help 16 to 18-year-olds with travel costs to school or college. 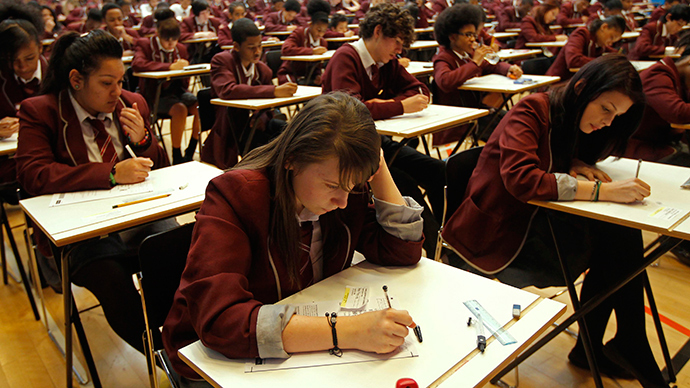 It says this could lead to teens feeling too “disadvantaged” to attend education or training. David Simmonds, chairman of the Local Government Association’s Children and Young People Board, said many councils had “dug deep” to attempt to fund travel costs for young people to get to college. “It became the role of schools to do this,” he added. Fawcett says the NEETs crisis is “a bit more complicated” than it being down to careers supervision.